May 31, 2016 (Tony Cartalucci – NEO) – An engineered drama unfolds along the Turkish-Syrian border as terrorists armed and backed by a US-led coalition including NATO-member Turkey, Saudi Arabia, and Qatar allegedly battle both the self-proclaimed “Islamic State” (ISIS) and Syrian-backed “Syrian Democratic Forces” (SDF) near and around the Syrian city of Azaz. Islamic State fighters captured territory from Syrian rebels near the Turkish border on Friday and inched closer to a town on a supply route for foreign-backed insurgents fighting the jihadists, a monitoring group said. Reuters, however, leaves out very crucial information – information that if concludes, would raise suspicions about the entire narrative alleged across Western media outlets like Reuters. If rebels are being directly supplied across the Turkish-Syrian border by a multinational coalition, how is it possible that ISIS forces are somehow better equipped and able to overwhelm these forces? The length of any ISIS logistical line supporting its fighters in this alleged battle – if not also extending over the Turkish-Syrian border in the immediate vicinity of the fighting, must be hundreds of miles long and in itself an immense strain on ISIS’ fighting capacity. It would be rather remarkable, in fact, unbelievable for ISIS to somehow not be being aided and abetted from directly across the Turkish-Syrian border where allegedly “foreign-backed insurgents” are allegedly receiving aid from nations like the US, Turkey, Saudi Arabia, and Qatar. While some will easily dismiss accusations of NATO involvement in arming, aiding, and abetting listed terrorist organizations amid the ongoing war in Syria as “Russian propaganda,” it should be noted that as early as 2007, Western journalists themselves had attempted to warn the public of an unfolding criminal conspiracy among Western special interests to do precisely this. Hersh’s sources, which included former CIA agent Robert Baer, warned of an impending “cataclysmic conflict” being engineered between Sunni and Shia’a Muslims as part of this conspiracy. He predicted the necessity of Shia’a groups forming the front lines against sectarian genocide carried out by US and Saudi-backed extremists with the responsibility of protecting not only Shia’a Muslims, but also Christians and other ethnic minorities, falling upon groups like Hezbollah. In hindsight, Hersh’s words now appear prophetic. Warnings of Western support of extremists in 2007 manifested as open warfare in 2011, and between the beginning of the war and now, an incremental revelation of US, Turkish, Saudi, and Qatari complicity in the rise and perpetuation of extremists like Al Nusra and the many terrorist organizations fighting along side it, including openly US-backed terrorist organizations like Ahrar Al-Sham and Jaysh al-Islam. This begs the question as to whether or not ISIS’ departure from Al Nusra was more political than any actual strategic, organizational, or ideological schism. Rhetoric aside, examining the logistical necessities of ISIS’ current “war” with US-backed terrorists in northern Syria, it is clear that the group, along with Al Nusra, are receiving support from Turkish territory. Image: It has been clear for years now that the one place NATO seeks to establish a “safe zone” is one of the last remaining corridors supplying ISIS and Al Qaeda within Syria. What is unfolding in northern Syria is yet another attempt by the US and its allies to create and exploit chaos, rather than stem it. Continued support of extremists by either neglecting border security, or directly and intentionally supplying, arming, and otherwise supporting terrorist organizations ensures maximum violence, humanitarian catastrophe, and a continued pretext for further incursions by both US and Turkish forces along Syria’s borders in pursuit of long-desired “safe havens” where terrorist forces can better be protected and positioned to project their destruction deeper and more effectively into Syrian territory. In reality, the chaos the US and its allies are citing as justification for further involvement in Syria’s conflict could easily be brought to an end simply by securing Turkey’s borders within Turkish territory. Turkish forces are arrayed along the border alongside US special forces, the US Central Intelligence Agency (CIA), and myriad of European and Persian Gulf military and intelligence assets. Failure to secure the border and cut off Al Nusra and ISIS’ supply lines is intentional. For Syria, securing its own borders has been infinitely problematic. Attempts to approach and retake territory along the borders has been met not only by obviously Turkish-backed terrorist forces, but also by NATO-backed Turkish military provocations. Turkey regularly shells Syrian territory. Its aircraft and anti-aircraft systems have regularly been deployed along the border attempting to deter first Syrian, then Russian aircraft from targeting the streams of supplies being sent into Syrian territory to sustain terrorist groups including ISIS and Al Nusra. Image: Hundreds of trucks a day pass over the Turkish-Syrian border in efforts to perpetuate ISIS’ existence within Syria. Contrary to popular belief, armies requires enormous and continuous supplies to maintain their fighting capacity. No other explanation besides state-sponsorship can account for ISIS’ years-long regional warfare. Attempting to avoid a more direct and costly confrontation with Turkey has forced Syria and its allies to take a more indirect means of securing the borders, using SDF fighters to occupy and face off against Turkish and NATO forces without implicating Damascus directly. Conversely, the use of these irregular forces has given NATO apparent leeway to make incursions of its own into Syrian territory – as they can claim they are not fighting Syrian forces, but merely “Kurdish terrorists.” While this chaffs directly with America’s alleged support of Kurdish groups elsewhere in the country, this is mitigated by a feigned political fallout between Washington and Ankara – despite US forces still graciously being hosted in Turkey and the two still clearly working in tandem toward the destruction of neighboring Syria. A multinational peacekeeping force placed along Syria’s northern border or Syrian-Russian bases placed further north may force one of two moves by the US and its collaborators. Directly attacking peacekeepers or Syrian-Russian bases from Turkish territory risking a wider war, or using proxies in Turkish territory, but at the cost of further exposing Washington and Ankara’s hands in propping up and perpetuating Al Qaeda and ISIS. Either option is fraught with complications and obstacles to overcome – perhaps even insurmountable obstacles. Additional covert resources supplied to SDF fighters along the Syrian-Turkish border could also be an attractive alternative. 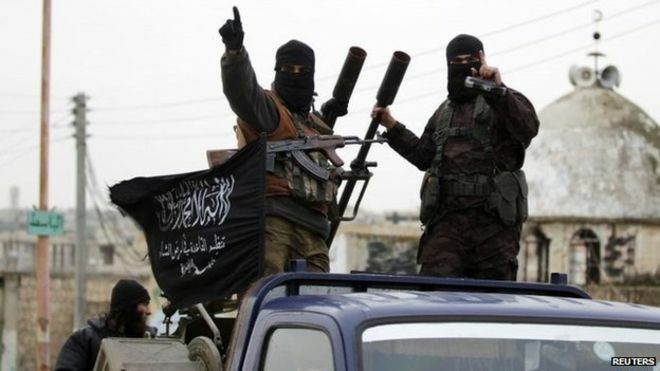 Syria and Russia could also work further on exposing the precise nature of Al Nusra and ISIS supply lines originating in Turkey – as well as in Jordan and through Iraq via Saudi Arabia directly.